For those customers looking for a simple system to record and summarize rental, you might want to consider our Time Management module. This module is separate from our Online Billing offering. This module has screens for management and/or users to enter their meter time. Then the time can either be downloaded to a spreadsheet or downloaded to Quick Books (desktop windows version) for invoicing. This option also works well with our statement upload (from a spreadsheet). Entering time against schedules provides greater accuracy by ordering the entries and flagging gaps and overlaps. 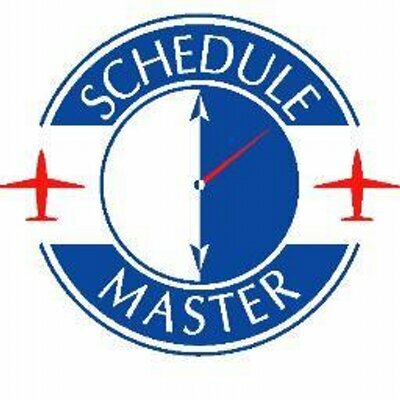 Reports of actual vs scheduled time can be run to identify schedule abuse. Time can easily be collected to support Scheduled Maintenance. The screen below is used for management to enter time. The system can be configured to accept hobbs or tach. It will accept both if using separate meters for billing versus scheduled maintenance. The numbers in red indicate a gap or overlap with a previous entry. For an example, see hobbs value of first and last entry. If a user forgets to schedule, the 'Add Entry' link in the header allows you to enter an after-the-fact schedule with the time. After management has verified the entries, they can check the box in the leftmost column to lock the entries. The 'reconcile all' checkbox in the header will check all boxes on the page. Reconciled entries can be downloaded to a spreadsheet or to Quick Books (desktop version for Windows). Once downloaded, the entries cannot be changed. It is also an option to allow your users to enter their own time. See screen below. If a user forgets to schedule, they can enter an after-the-fact schedule by clicking the 'Add Unscheduled Entry' link. A user can edit their time until the time is reconciled by management.